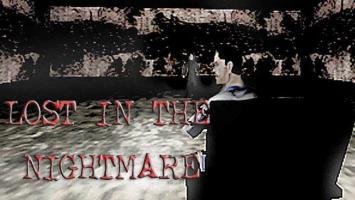 The deluxe version of Lost in the Nightmare, my 2005 released game. Features of the deluxe version: *A new level! A terrifying extra level will be available to play when you finish the game with the good ending. Some of the events on this new levels are depended on a decision you make, so it is a replayable level. *Revisioned graphics Changed the shadow/highlight and hue/saturation values and adding some extra filters like Diffuse Glow. And remade some of the scenes. I wanted to give a dark, film-noiristic but still dreamy ambience to the game. *New scenes and extra endings: I have decided to add more scenes inside the game. And two extra endings; one of is a death sequence and the other is a secret ending for saving the campers. *Bug fix: Many major and minor bugs are fixed! I should have done this so earlier. *Proofread: The game script is proofreaded by Jonathan Anson. *More music: Now I have used some tracks of some of my favourite metal bands, like Rammstein. I can say the tracks I used went very well with some scenes of LitN. This is an interesting and very dark game. Trying to download but mediafire says it needs to repair download,and it doesn't! Should i play the original version first? Or just go straight for this updated version? Another thing I forgot to mention, some of the text goes by far too fast. I've also come across several glitches related to conversation. When I was talking to Polat near the end of the game, he asked Burak if Tanner had told him he defended Yachin. Burak said no, even though I had already had the conversation with Tanner where he tells Burak he did. After the second nightmare, I went to the hotel and talked to the woman there. Afterwards, I left, talked to Tanner and came back to the motel, and the entire conversation repeated. Let me state that I have only played the deluxe version, and I have only gotten the best ending, so I can't compare this game to the original version or judge the entirety of it. The proofreader did a very poor job, and I have to question whether he actually made any effort. There are tons of grammatical errors, and more than a few sentences have words missing from them. I agree with other users in regards to the game being an interactive movie. The gameplay is extremely limited and quite frankly, boring. As others have said, I think the navigation system could be better. The graphics are gritty, which fit the atmosphere of the game, but they lack detail and sharpness that prevents the game from being as scary as it could be. The music is pretty good in most respects, but the rock music in the game is completely inappropriate for a horror game. The story itself is pretty good. Certain parts feel akward, such as Burak's second nightmare, but overall it's well done. I felt tense playing the game, and often wondered what would happen next. You have a lot of potential, you just need to work on your presentation. 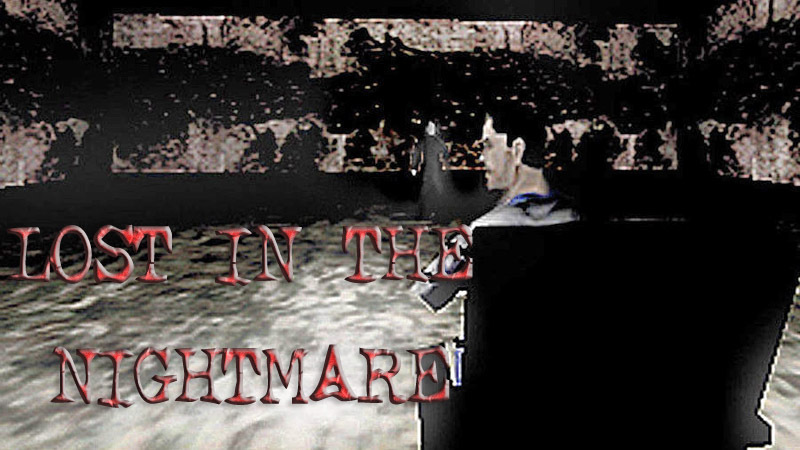 Players of the original Lost in the Nightmare will be saddened to know that most gameplay issues have been left exactly as they were, a notorious example being the letter bug - the one which allows you to pick up the letter over and over again. It's passable in a first release, but if it's still there in the Deluxe version, you have to wonder how Deluxe it really is. In fact, this is not a Deluxe version at all, and you'd do well to play it with that in mind. It's an expansion. Yes, there are reworked graphics all around, but coupled with such gameplay issues as an inventory system that's too bulky for this type of game, the lack of proper navigation cursors, a non-intuitive highlight over hotspots and a slow fadein/fadeout that makes walking around rather boring... reworked graphics isn't enough to call it a Deluxe. The story remains the same - i.e., it's great, and the atmosphere remains way above par. I haven't seen the extra scenes yet, but I feel I can safely say - if you've played the original, don't bother with this one. In both the games, the best part is the story. No need to suffer through bad gameplay to get to a good story you already know. I didn't like this a bit... sorry. It seems like a file in the archieve file seems corrupted. Whenever I compress the game files, that litn.021 gets corrupted in the archieve. I couldn't solve this problem. If you had downloaded the game and not been able to extract the litn.021 file, try http://dosya.coolbluegames.com/corruptedfile.zip to get that litn.021 file.